Make yourself at home in one of the 6 individually decorated guestrooms. Complimentary wireless Internet access is available to keep you connected. Bathrooms have showers and complimentary toiletries. Conveniences include coffee/tea makers and complimentary bottled water. 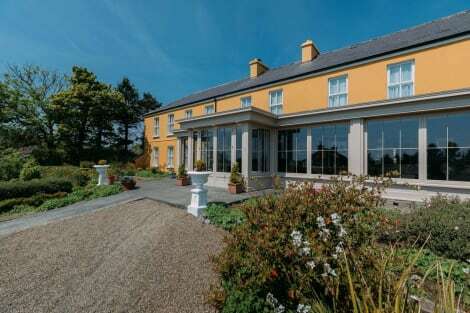 Woodhaven is a welcoming bed and breakfast located in Lisdoonvarna, County Clare. The large detached house is set amidst tranquil countryside providing guests with a peaceful and relaxing stay. The rooms are clean and well appointed with all necessary facilities to ensure guests have a comfortable night and an enjoyable stay. A tasty breakfast is served each morning in the charming dining room. Pets can be accommodated in outdoor facilities. lastminute.com has a fantastic range of hotels in Lisdoonvarna, with everything from cheap hotels to luxurious five star accommodation available. We like to live up to our last minute name so remember you can book any one of our excellent Lisdoonvarna hotels up until midnight and stay the same night.